Ascension President and CEO Anthony Tersigni is among those being considered to lead the Veterans Affairs Department, sources close to the matter say. Other potential candidates include acting Secretary Robert Wilkie and former Cleveland Clinic CEO Dr. Toby Cosgrove. House Speaker Paul Ryan suggested that Rep. Phil Roe (R-Tenn.), chair of the House Veterans' Affairs Committee, and former congressman Jeff Miller (R-Fla.) should also be considered. Tersigni's experience and knowledge of issues affecting not just the VA, but healthcare overall may give him a decided advantage. "This is a guy who knows how to run a large medical system, and the people who have the president's ear know he is conversant and well-informed in issues that are important to the VA, and that checks a box," said a well-placed GOP consultant who has worked in the White House. "Tersigni has a paper trail in a very good way." 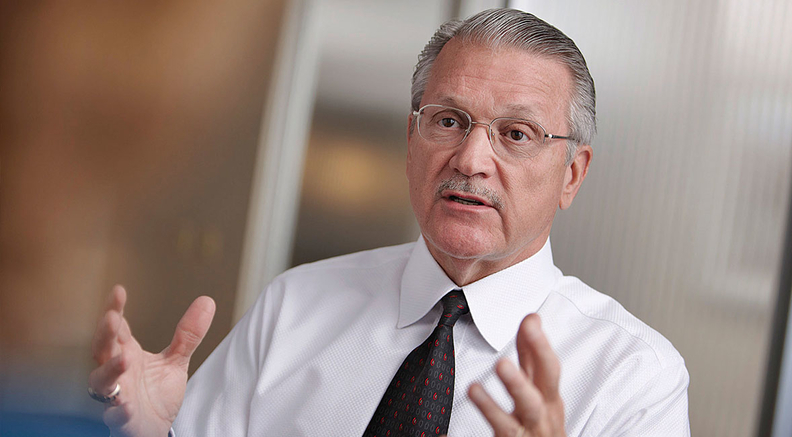 For the past 13 years, Tersigni has lead the nation's largest Catholic health system. Ascension has also been the most prominent participant in the VA Choice program, the government's effort to expand access for veterans by paying for healthcare provided by the private sector. Ascension's VA Choice participation resulted in about 10,000 veterans receiving mostly primary-care, mental health and behavioral health services over the past 18 months. It also gave Ascension officials a chance to become familiar with leaders at the VA and grassroots veterans organizations. The Choice program has raised concerns from advocacy groups about the government privatizing care for veterans. Debate over how to expand the VA Choice program was likely a factor in former Secretary Dr. David Shulkin being terminated via Twitter by President Donald Trump. The president's first nominee to replace Shulkin, Dr. Ronny Jackson, took his name out of consideration last week after uncorroborated allegations of misconduct arose. Shulkin came under fire in February after an Office of Inspector General report found he had improperly accepted Wimbledon tickets and his staff had doctored emails to justify his wife traveling to Europe with him at taxpayer expense. Another OIG report detailed poor treatment of patients in VA health clinics due to lack of proper equipment. At the time, lawmakers were debating changes to the VA Choice program and Shulkin's stance against the perceived privatization of the program placed him at very public odds with the president and some members of Congress. The House VA Committee last week was supposed to debate the bipartisan agreement reached last month, but that has been postponed until early May, and not all parts of the deal are set in stone, according to aides close to talks. Tersigni, a registered Republican who worked on President Gerald Ford's campaign, last year wrote a commentary stating he believed in "public-private partnerships" like VA Choice, understanding that there were limits to how private providers might be able to treat the often significant transplant and limb repairs needed by some veterans returning from war. He also spoke about the sensitivity needed to properly care for veterans at the 2016 VA Healthcare Conference. Similar to the VA, Ascension is also upgrading and standardizing its electronic health record system, a massive task. Ascension's project stretches across 150 hospitals and 2,600 sites of care and is intended, among other things, to boost digital and telemedicine services. Shulkin last year awarded Cerner Corp. a no-bid contract to overhaul the VA's EHR system. The contract, which is now estimated at $16 billion, has been put on hold while the organizations struggle to iron out issues around interoperability. "Our veterans are simply looking for a competent, proven and dynamic leader with integrity that can lead our nation forward out of this storm of darkness and into a brighter future," Paul Rieckhoff, CEO and founder of Iraq and Afghanistan Veterans of America, said in a statement after Jackson withdrew his name from consideration. Ascension has 165,000 employees and is the second-largest system after for-profit HCA in size of hospitals and revenue. It reported $552.69 million in income from operations on revenue of $22.63 billion in 2017, down 27% from $753.2 million in operating income on revenue of $21.9 billion in 2016. Its total operating expenses before impairment, restructuring and nonrecurring losses increased to $21.89 billion, up 5% from $20.9 billion in 2016, according to Modern Healthcare's financial database. Tersigni served in the National Guard for six years and his father was a decorated World War II veteran who became disabled in the battle of Anzio in Italy. He won Bronze and Silver stars and the Purple Heart. Tersigni is known for his tight management style, something that VA insiders say the sprawling $200 billion department that cares for 9 million veterans desperately needs after four leaders in as many years. He has been on Modern Healthcare's 100 Most Influential People in Healthcare list 13 times. His most recent appearance placed him at #5. If Tersigni is chosen, Ascension will likely be prepared. The system's board of directors and Tersigni himself are very open about leadership development and having a strong succession plan. His potential replacement would likely be someone already in line for the top office. Among those; Patricia Maryland, the president and CEO of Ascension Healthcare, and Anthony Speranzo, the system's chief financial officer. The Rev. Dennis H. Holtschneider, the current executive vice president and chief operations officer of the Ascension Solutions Division subsidiaries of Ascension Information Services and the Ascension Ministry Service Center, could also be in the running. Cosgrove, who retired in 2017 after 13 years at the helm of the Cleveland Clinic, has been in position to accept the VA nomination before. In fact, he turned down President Barack Obama in 2014. "This has been an extraordinarily difficult decision, but I have decided to withdraw from consideration [for] this position and remain at the Cleveland Clinic due to the commitment I have made to the organization, our patients and the work that still needs to be done here," he said at the time.